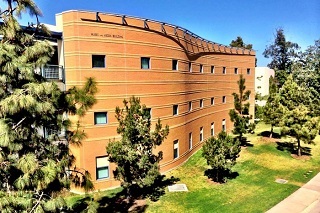 New students are admitted ONLY during Fall Quarter. Auditions are REQUIRED for ALL applicants, including incoming freshman and transfer students, those choosing Music as a primary OR alternate major, and current UCI students who want to add Music as a major. Prospective applicants must be academically eligible for UC, submit their online application within the filing period, and pass the required entrance audition. Music majors are billed a $500 course & materials fee (aka 'Lab Fees') to cover the cost of private lessons, which are an integral part of both our undergraduate degree programs. Bachelor of Arts in Music (BA) students receive 2 years of private lessons. Bachelor of Music in Performance (BMus) students receive 4 years of private lessons. Fees are billed to student Zot Accounts on a quarterly basis. Established by donors and patrons of the Department of Music, we have a limited number of scholarships which are available only to Music majors. All students admitted to Music are automatically considered for one of these limited undergraduate scholarships. There is no separate application and nothing extra that applicants need to do to ensure consideration. Applicants seeking financial aid have multiple options to explore, and are strongly encouraged to learn more from the Office of Undergraduate Admissions. For general inquiries about the Department of Music and our programs, contact the Music Office (music@uci.edu). For questions about degree requirements and/or what's required to be a double major, contact CTSA Student Affairs.